The Digital Landscape continues to evolve in both ways we could have predicted and ways we could never have imagined just several years ago. Below is a listing of things that strike me as particularly relevant and interesting. What are your thoughts? There is a movement towards more “human communication” – content with warmth and humor instead of corporate buzzwords, and making communication more authentic through humor, visuals and storytelling. UGC is a great way to help warm up your digital presence – customer blog posts, customer ratings & reviews, etc. – search engines love UGC! Reward them for their participation and loyalty by giving them the spotlight in your campaign. New service will let you watch live TV and on-demand content without a cable or satellite subscription. 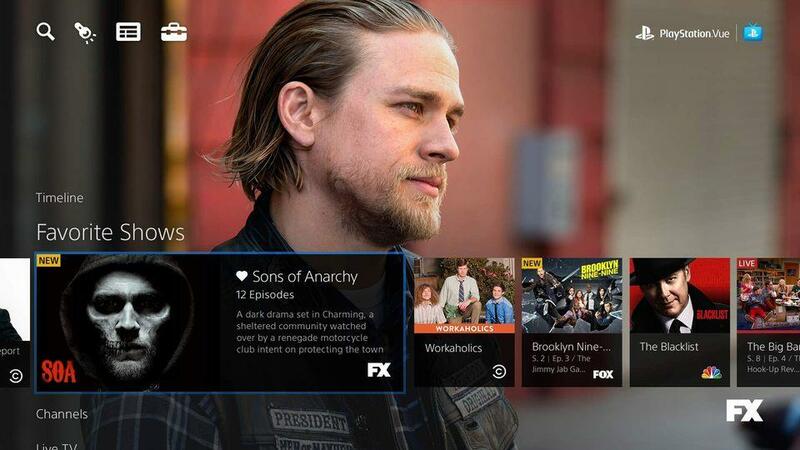 PlayStation maker Sony has announced an all new, cloud-based TV service called PlayStation Vue. The platform, which lets you access live TV and on-demand content without a cable or satellite subscription, is coming to the PlayStation 3 and PlayStation 4. A beta will begin later this month. Sony isn’t holding back in boasting about Vue, saying the service “reinvents” the traditional TV experience. The announcement came with a statement from Sony Computer Entertainment CEO Andrew House, who laid out his vision for Vue. Vue has a “powerful” user interface, Sony says, which delivers “unprecedented personalization and simplicity.” The service also features recommendation algorithms, which will clue you in on movies and shows based on your previous viewing habits and trending content. You can also use Vue’s “Explore” function to view the entire catalog of on-demand content, filtered by program, genre, ratings, and popularity, among other things. Sony adds that Vue will help you catch up on live TV programming you might have missed, as the service will make available the past three days of popular shows without requiring you to schedule recordings. You can also save shows to the cloud, where they will stay for a period of 28 times. As part of the initial invite-only beta (there’s no indication yet as to how you can get in), Vue will offer around 75 channels per market. Such a service will likely live or die based on its network partners, and Vue has many of the big names, including GameSpot parent company CBS and others. Vue’s current network partners, with descriptions courtesy of Sony, are listed below–more will be announced later. CBS: At launch, PlayStation Vue will offer the live linear signal from CBS Television Network’s owned-and-operated TV stations in select leading markets in addition to on-demand prime-time programming. Discovery Communications: Discovery Channel, TLC, Animal Planet, Investigation Discovery, Science, OWN: Oprah Winfrey Network, Discovery Family Channel, and 11 more brands. Fox: Fox Networks Group’s portfolio of national entertainment programming services, including–FX, FXX, FXM, National Geographic Channel, and Nat Geo WILD. Additionally FOX Sports’ national and regional programming services–FOX Sports 1, FOX Sports 2, BTN, Fox’s regional sports networks, including YES Network and Prime Ticket. The agreement also covers Fox’s owned and operated television stations. NBCUniversal: All local offerings from NBC, Telemundo and regional sports networks as well as Bravo, CNBC, E!, NBCSN, Oxygen, Sprout, Syfy, USA Network, and more. Scripps Networks Interactive: HGTV, Food Network, Travel Channel, DIY Network, and Cooking Channel. Viacom: BET, CMT, Comedy Central, MTV, Nickelodeon, PALLADIA, Spike, VH1 and more. Pricing for Vue was not announced today, though Sony says Vue will “change the rules” for how people pay for subscription TV. The company promises “fair and competitive” pricing that’s transparent and doesn’t have hidden fees or charges. Vue subscriptions will be offered on a month-to-month basis, so you won’t be locked in for an extended period of time. It also doesn’t require any equipment or installation charges, since all you need is Internet access and a PS3 or PS4. The Vue beta will begin in November for select PS3 and PS4 owners. A wider rollout is planned for later, starting in New York and followed by Chicago, Philadelphia, and Los Angeles. Vue will later be available for iPad, as well as more Sony and non-Sony devices. Excited about the promise of the shiny new Internet of Things? Good. Because hackers are too. Or at least they should be, according to a study by computing giant Hewlett-Packard. As a basic rule, these devices often run stripped down versions of the Linux operating system, and so will have many of the same basic security concerns that you might expect to be in place on a server or other computer running Linux. The problem is, the people building them aren’t going to the effort to secure them the way they would a more traditional computer. 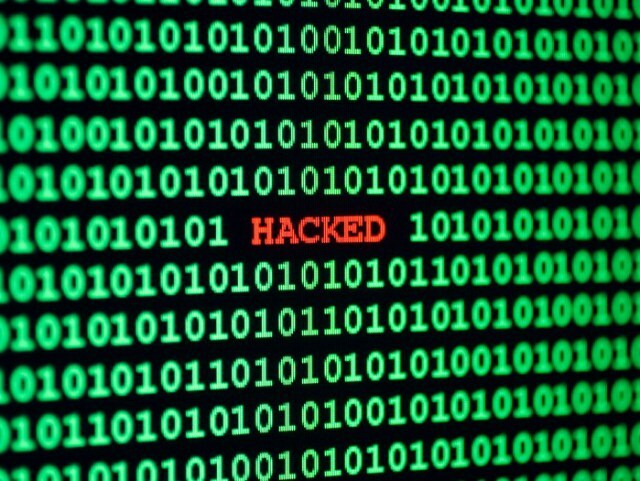 What’s happening says Mike Armistead, VP and general manager of HP’s Fortify unit, is that manufacturers are rushing to get their products on the market without doing the harder work of locking their devices down against the most basic kinds of attacks. Magnifying the potential for the problem is the fact that once one device is compromised, overlapping vulnerabilities can lead an attack from one to the other. If that seems like alarmist paranoia, remember that one of the most damaging hacking attacks in history, the Target breach, in which information on more than 70 million people was compromised, was carried out by way of an attack on a system used to manage and maintain the heating and ventilation system in the company’s stores. Smartphones, just like computers, are vulnerable to hackers, who target mobile devices with malicious software to access your personal information. 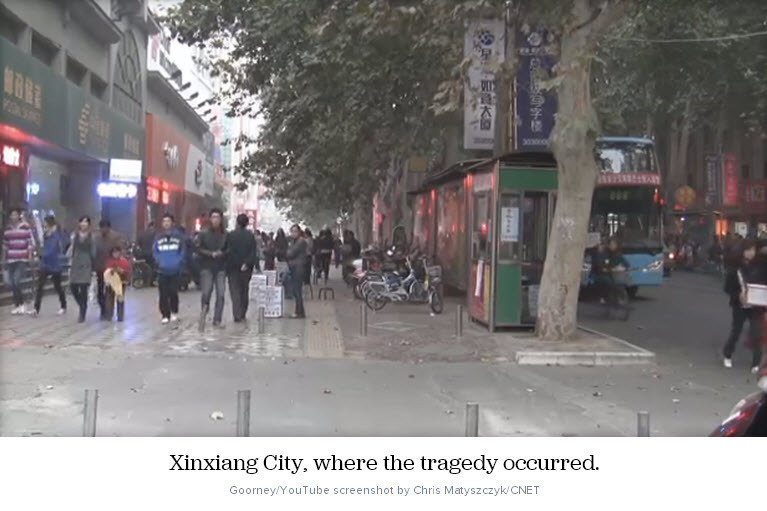 There are security apps that can help prevent this, but one San Antonio-based startup thinks it has a better solution. 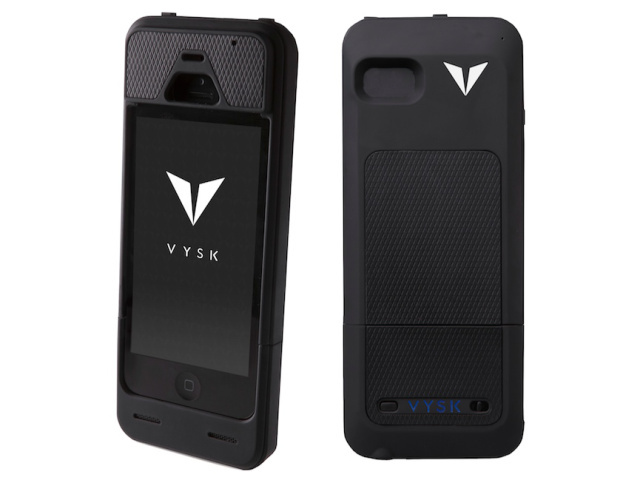 Today, Vysk Communications introduced the QS1, a protective smartphone case that the company claims makes it virtually impossible for others to eavesdrop on and capture phone conversations and also encrypts text messages and photos. It does so by incorporating a proprietary encryption processor and its own microphone into the case. The Vysk QS1 also has two mechanical camera shutters for blocking your phone’s front and back camera. With the case on, you can activate one of two privacy modes: Private Call Mode and Lockdown Mode. Private Call Mode requires a $9.95 monthly subscription but gets you the full gamut of security features. With the accompanying Vysk QS app (available for Android and iOS), you can make private VoIP calls to other subscribers over Vysk’s encrypted network. The company says no one will be able to listen in on your call, and no data, such as caller ID, phone numbers and call times, is recorded. The Vysk QS1 will also generate an untraceable number when making calls to non-Vysk users, and if someone does try to hack into your phone call, they’ll be met with a piercing buzzing sound. Other features of the subscription service include encrypted private messaging, voicemail and pictures, remote wipe and password protection, among other things. Meanwhile, Lockdown Mode jams your phone’s microphones and blocks the cameras. A subscription is not required to use these features. But why choose a clunky and expensive ($229) case over one of the free or cheap security and privacy apps? Vysk believes its hardware approach is stronger because software-based solutions are still vulnerable to malware and hackers. The company also considers the QS1 to be a better alternative to the upcoming Blackphone, since it allows people to keep the phone that they like and use every day. The Vysk QS1 is compatible with the iPhone 5 and 5S and the Samsung Galaxy S4 and S5. Preorders begin on May 15, and the case is expected to ship in early Q4.